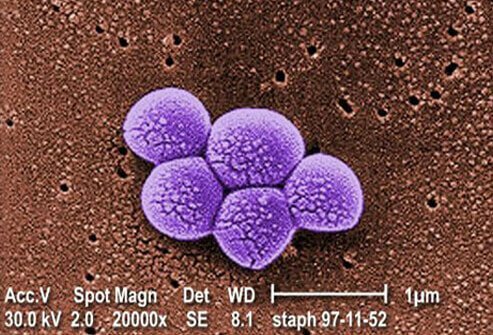 In the face of this resistance crisis, we must realize that antibiotics induce natural selection in bacterial populations. Bacteria multiply rapidly and have short lifespans, so they are prone to DNA mutations. DNA codes for proteins, so a change in DNA will alter the corresponding protein and lead to bacterial variation. Some bacteria express enzymes that can destroy drugs or cell-wall proteins that do not bind to drugs. When an antibiotic is added to the environment, the resistant bacteria are “selected”; that is, they are more likely to survive and thus reproduce. As these bacteria multiply over time, they can exchange their resistance genes with other bacteria. An entire population can evolve drug resistance according to the laws of natural selection and evolution. “Superbug” infections will only become more common and lethal as we continue to abuse antibiotics. A solution to communicable bacterial diseases must take into account this biological reality. Connor Browder is a 16 year old from Greenwich, Connecticut. He is a member of the St. Mark’s Class of 2019. He plans on pursuing a career in bio-engineering, software development, and entrepreneurship. He intends on getting a major in Biomedical Engineering and a minor in computer science. Some other interests include squash, golf, computer programming, and cross country.